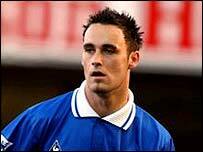 Walsall have completed the signing of experienced midfielder Stefan Oakes from Leicester City. Earlier on Thursday Walsall manager Colin Lee unveiled Simon Osborn, who turned down a new deal with Gillingham to move to the Bescot Stadium. Oakes has struggled to maintain his position in Leicester's first team and was loaned out to Crewe towards the end of last season. Lee told the club's official website: "Stefan Oakes is potentially a Premiership player. He made a big impact during the time of Martin O'Neill at Leicester. "This move will help him to resurrect his career and at 24, with the tremendous technical ability he possesses, time is on his side to climb back to the top."